With the anticipated release of Windows 10 on desktop and mobile, Project Spartan has given way to Microsoft’s next generation of cross-platform compatible web browser, aptly named Microsoft Edge. Microsoft has included new functionalities like Cortana integration for search, new Edge rendering engine, note-taking mode, extension support, and the ability to load the IE11 engine for legacy enterprise websites. IE11 currently has the majority of web browsing traffic with a 46% market share, and will continue to be the leading browser for use in the enterprise. 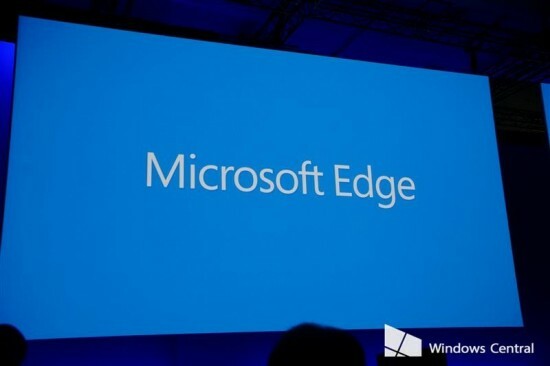 Microsoft Edge will cater to end-users as a universal app that is updatable through the Windows Store (instead of an OS update), and it will be compatible on smartphones as a default browser, on tablets, on desktop, and possibly on Xbox One. Custom website development will be easier with deployment through Visual Studio and the ability to parse HTML markup. Microsoft Edge also has an “interoperable UA string designed to get today’s modern Web content and to avoid old IE-only content,” to markup web pages using a stylus or Word text entry, and offer an enhanced reading mode that only shows text of an article for improved readability. Microsoft has also taken the security of the end user into consideration, allowing for Windows ASLR (Address Space Layout Randomization) to be stronger, which protects against exploitation of memory. Because malicious users, “want to inject malicious code into your browser process via a coding bug, and then execute their malicious code. ASLR makes that harder by randomizing the memory layout of the process, making it hard for attackers to hit precise memory locations to achieve their ends.” Previously, Windows browsers had 32-bit ASLR, but with Microsoft Edge, Microsoft will offer 64-bit processes which makes ASLR much more effective because the address space is exponentially larger, making it much more difficult for malicious users to mine sensitive memory components they need. Microsoft’s goal is to make web application development faster and easier and it is apparent in the porting process that they offer for developers. At Ayoka, we work with enterprise companies that seek custom business applications that drive the performance of their organization. From large enterprises to small business, IT departments can gain from consolidation on a single platform for mail, security administration (e.g. active directory), ERP, CRM, document sharing,etc. Moving up to grab the mobile browser market share, Microsoft Edge will be the first browser of its kind, offering a new immersive web experience that can only get better after its release!